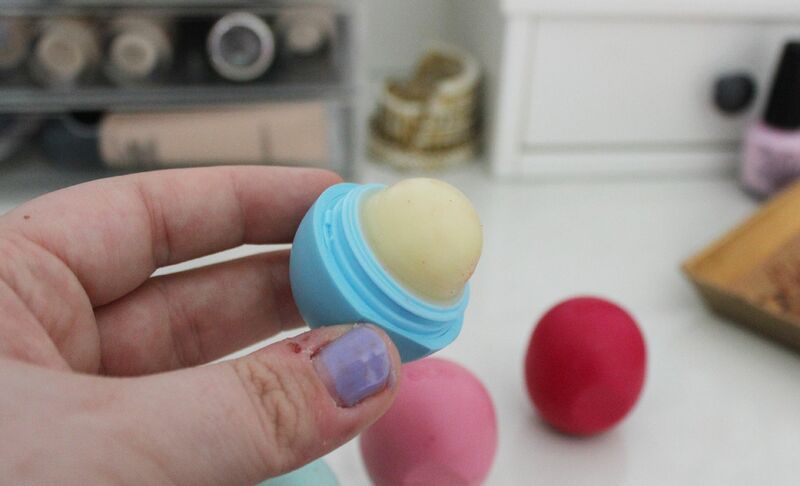 There’s something so ergonomically pleasing about the EOS lip balms. They fit riiiight in the palm of your hand, and they just feel nice. Although pretty hard to get hold of in the UK, they are worth hunting down in my opinion. (sidenote: I haven’t tried the UK based Balmi, and don’t plan on because I love these too much) I got a few from the US, but also some from Cutecosmetics – link! The flavours on all of the ones I’ve tried are really nice and make you want to use them more frequently. I have… Pomegranate and raspberry, Strawberry sorbet, Passion fruit, Blueberry and Acai and Sweet mint. The blueberry one is my favourite, if I had to pick, although I do love the minty tingle from the mint one. I like to keep one in my bag at all times, & I find them easy to grab because they’re so colourful. The design of them is also so good as you don’t have to touch them when you’re on the go. Overall, I’d really recommend them. If you have really, really dry lips I’d skip them and go for something heavy duty like Nuxe or By Terry. 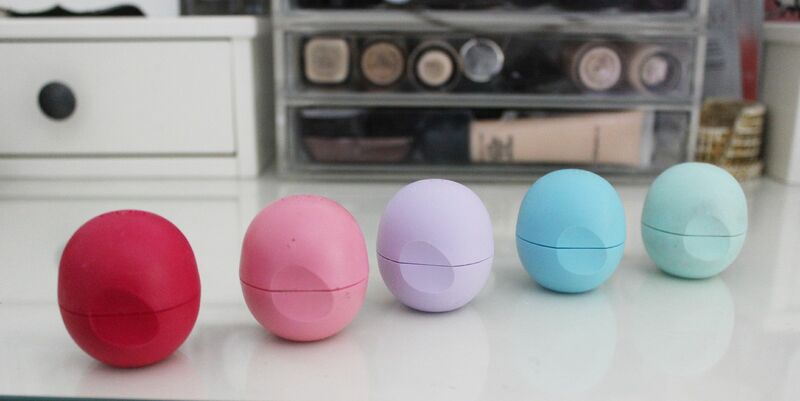 If, like me, you have ‘normal’ lips and just like to have a lip balm with you all the time incase something terribly dry happens (what, I don’t know), then these are worth checking out. Yeah, they’re gimmicky & they aren’t the most moisturising in the world but they’re cute and do the job.